We set off to float from Coal Banks Landing to Judith Landing of the Upper Missouri River, White Cliff Section, wihthin the Upper Missouri River Breaks National Monument; a state and federal park which is part of the United States Department of the Interior, Bureau of Land Management. Lately Western Montana has been locked down with smoke from the MT and Idaho fires. Today looked clear so we headed out on a trip through the Sapphire Mountains from the Bitterroot side down to Rock Creek. Wahlquist Ridge Trail (No 233) starts out easy enough on a rather large road but quickly disappears about a half a mile in. Bring along or study your GPS / map, if not its still hard to get lost just go east or west. 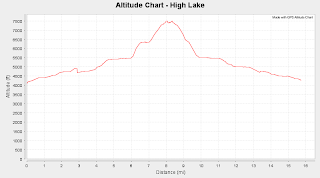 An interesting hike as its downhill then uphill. Don't let the grade fool you, this is a strenuous trip. We had some inexperienced hikers, then on the way down heat exhaustion kicked in, both of which slowed us down a bit. I would classify this as a day trip although we had planned to include a camping trip for the weekend. Another trip up Trail No. 391 at the Bass Overlook towards Little St. Joseph Peak, this time all the way up to St. Joseph Peak. Overall for us this was not too big, but for the average hiker it could be a dangerous trip. Classified as a 'difficult' this offers great views of Canyon Falls along with Canyon and Wyant Lake but be prepared to run into other hikers. At 8am there were already several cars in the parking lot which is for hiking both Canyon Creek Trail and the Blodgett Canyon Overlook. The trail starts off easy for the first 3 miles although it is a little rocky and you will want to watch your step. There are ups and downs, in the woods towards Canyon Creek then peaking back out to the rock walls towards the North, saying hello to the passers by. 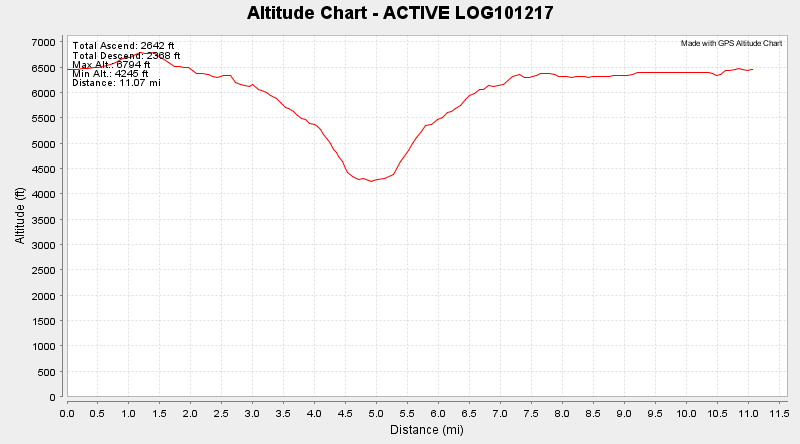 For this stretch with an average grade of 9% we averaged around 2mph and gained 1440ft in elevation. We started (and ended) this trip in the Bitterrroot National Forest looking for Trail 308 which appears to be non-existent. We headed up through the burned remains of Cleveland Mountain towards the mine less than a mile up at an average 18.5% grade. After poking around the mine area and the peak of Cleveland Mountain which has an altitude of approximately 7335ft we headed downhill to the North East and connected with what my map is calling the Sapphire Divide Trail No 313 although the posted signs clearly stated it was the Bitterroot Divide. 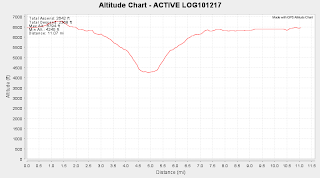 After a half mile on Trail 313 we continued downhill towards the South East on the Welcome Creek Trail No. 225, by this time the wooded scenery was much better with barely any signs of fire. After continuing approximately 2 miles and descending 1300 ft we hit Spartan Creek which has a nice wooded campsite and it was time for lunch. We then continued for another mile following the Welcome Creek along the rock slides of the Sapphire Mountains down to 5555ft. 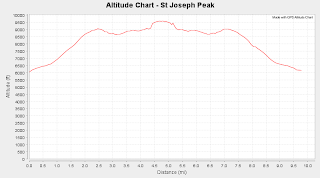 Overall it was 8.2 miles including stomping around the mine and the peak along with stopping for lunch with an average moving speed of 2mph and a total elevation gain / loss of approximately 2633ft. We have another route in mind for next time when we follow this trail all the way out to Rock Creek. Traveling to Gash Point Trail 122 took quite a while from the town of Stevensville, over an hour and a half. They say you can park at the trail head but I opted to park at a larger spot a couple hundred feet down the road. The hike starts off easy enough skirting the south edge of a hill, but you will want to watch your footing as the trail is skinny at times and its easy for your foot to slip off the side if you're not paying attention. Approximately a half a mile in it gets wet this time of year (late June) from run-off. After that starts the ascent up through the fallen trees and burned remains of the 2006 fire. Over a mile and a half in the trail all but disappears, you'll be fine though if you keep an eye out for cairns and keep heading up hill toward the point. Approximately 2.4 miles in the land levels out a bit, and this is as far as we could make it due to snow, but bouncing shouts off of the south west peaks provided for much entertainment as we took a break for lunch. On the way down we ventured over to some rock outcroppings towards the north, definitely worth it while you are there. The hike is classified as 'strenuous' by many books but didn't feel bad although we couldn't make it to the top. 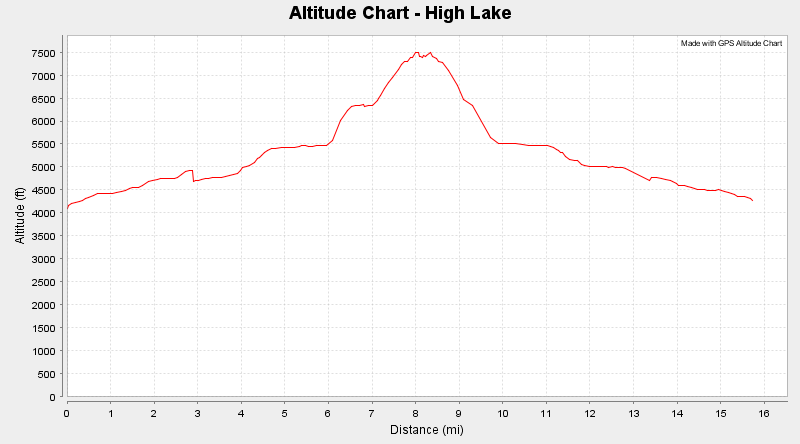 We pulled 2.4 miles with an elevation gain of 2417ft (from 5771 ft to 8194 ft) and an average grade of 19.2%. Gash Point is listed at approximately 8860 ft and a total length of approximately 7 miles but my topo maps show that we were approximately .6 of a mile from the peak (as the crow flies).